Welcome to the Optimize Your Health Webinar Series, a string of cutting edge webinars featuring leading experts in the health and fitness community. Join nutrition and fitness gurus to learn how to track and optimize your unique biological equation to fit your body's needs, maximize endurance, and get the all-day energy you crave. Dave Asprey, a leading bio-hacking expert will give you the latest tips and techniques that anyone can use to upgrade their mental and physical performance. Get cutting-edge nutritional strategies to change your body's biology with health expert Ashley Tudor. Join Ashley as she explores the pillars of optimal health — food, hormones, inflammation, and activity — and get the tools necessary to personalize your health and fitness equation to fit your body's unique needs. 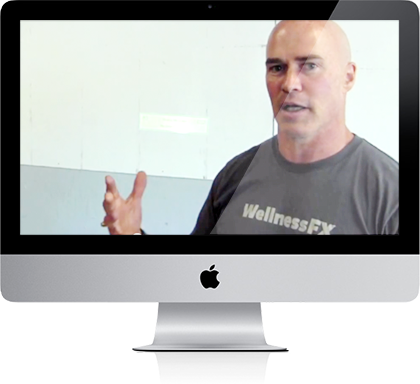 Health, fitness and performance expert Ben Greenfield coaches individuals around the world for weight loss, lean muscle gain, holistic wellness, and sports performance. Join Ben and Jim as they discuss the cutting-edge strategies about how food, lifestyle and supplement support can reduce inflammation and heal the body more quickly while you are training for your next event.